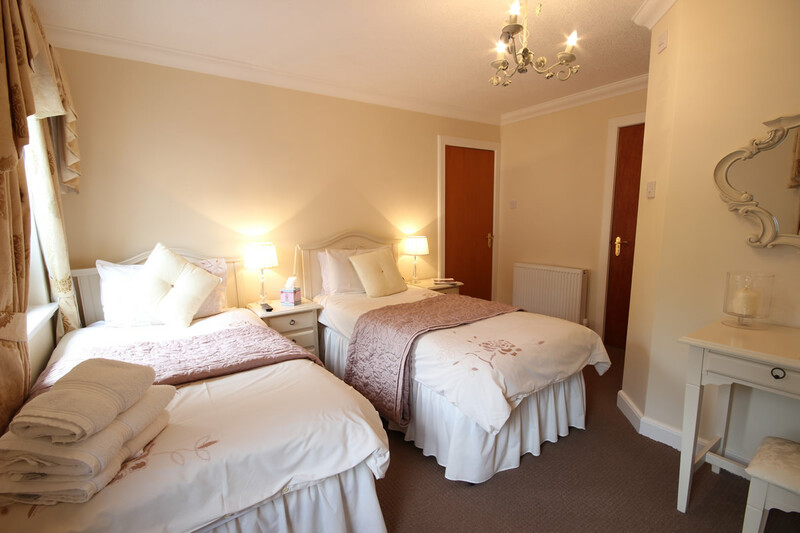 The house offers 2 Double Rooms, 1 Family Room and 1 Twin Room. 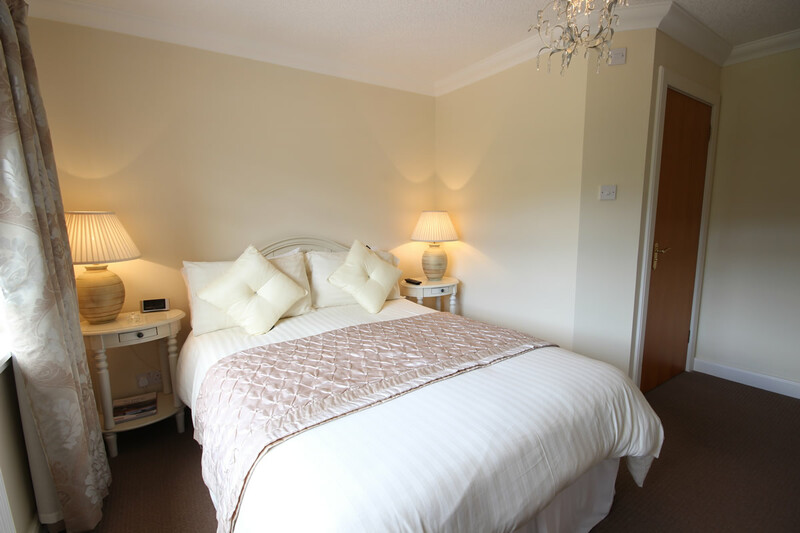 All of our rooms are tastefully decorated to a very high standard. 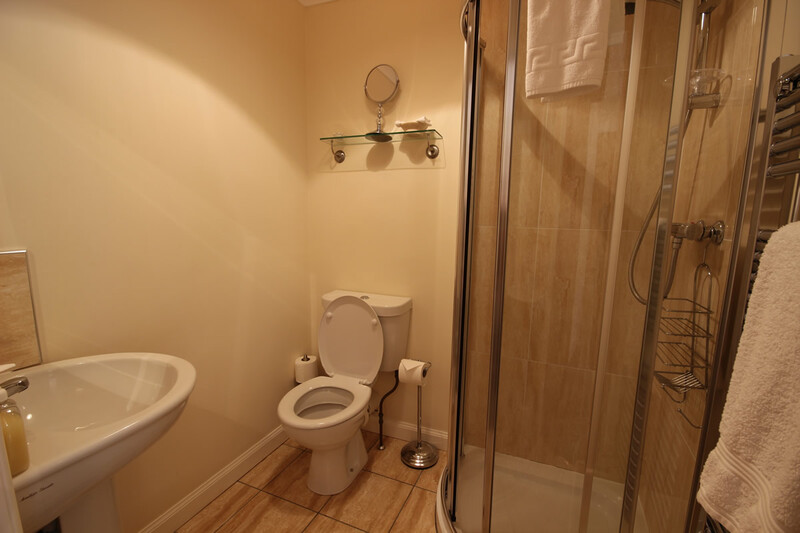 Every room has it’s own en-suite bathroom, flat screen television, hospitality tray, WiFi, hair dryer, iron and iron board. We can also provide a travel cot for parents with young children. 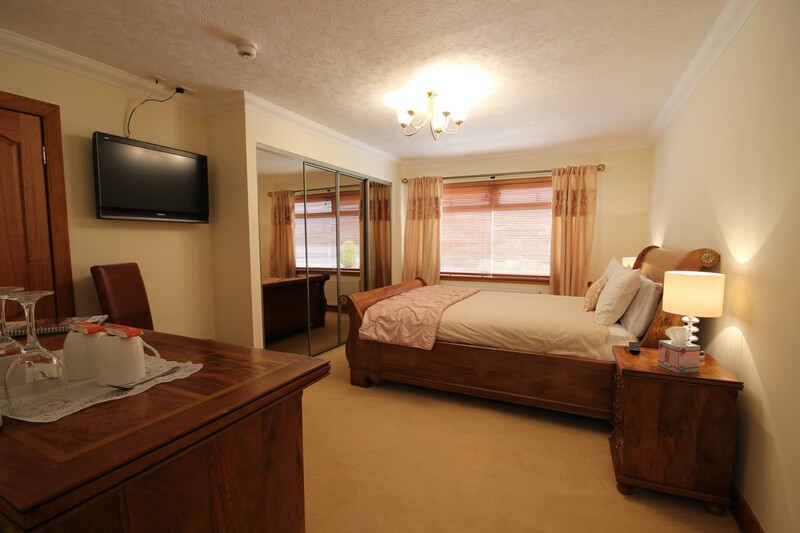 Our family room is a large and spacious room that is ideal for families. 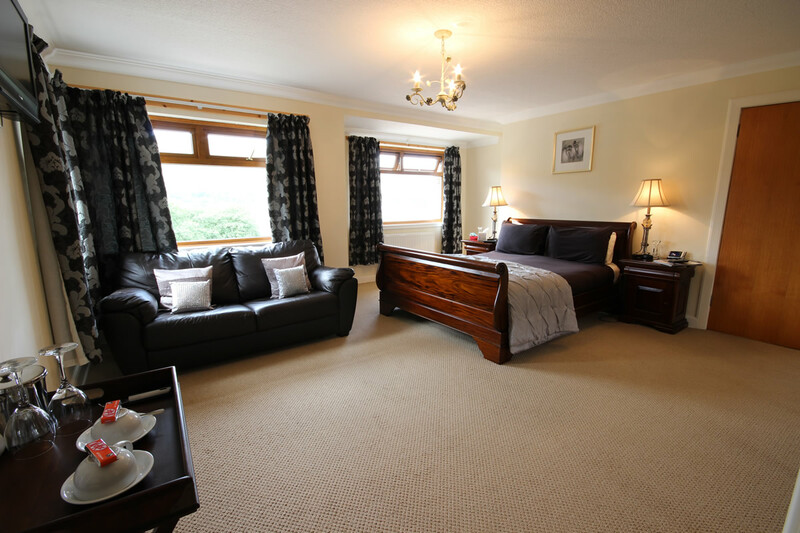 Like all of our rooms, this room is well decorated with quality furniture throughout. Even down to the finest detail you will notice we have family needs and in particular children in mind. 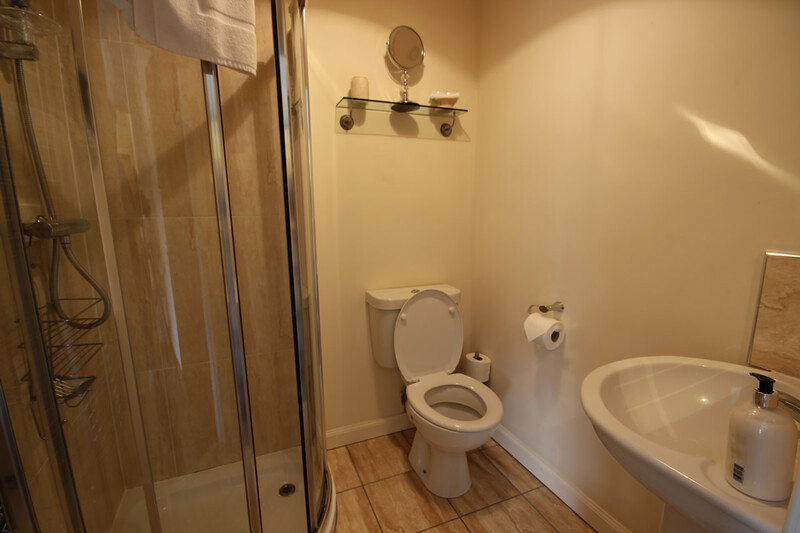 This room also has a huge bathroom, ideal for that morning family rush. This kids will also be happy to know that this room, like all of our rooms, has a flat screen TV and Wi-Fi. 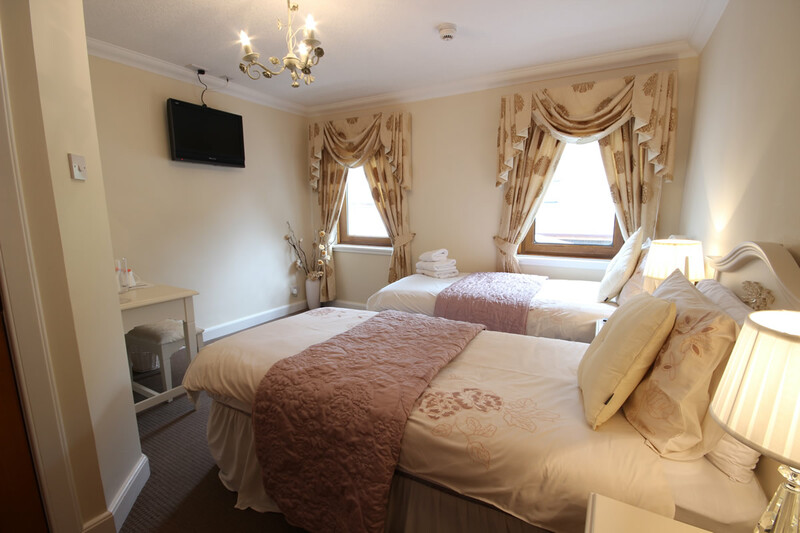 Our double room is the perfect choice for couples. 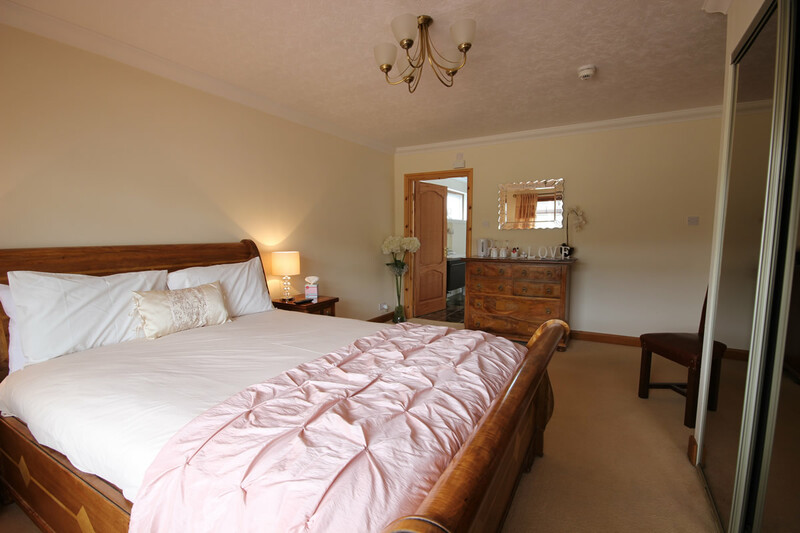 This room has a relaxing feel and offers a generous amount of space with en-suite bathroom. 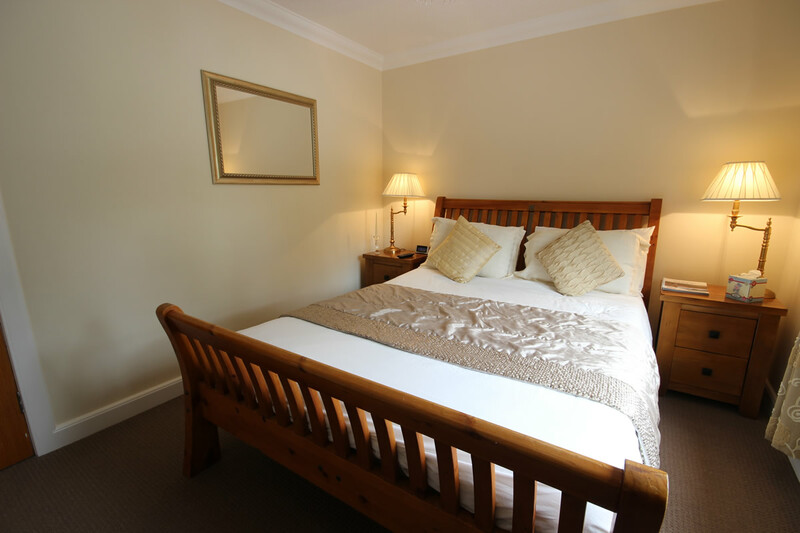 Our twin room is the ideal size for people sharing who still appreciate their own space. 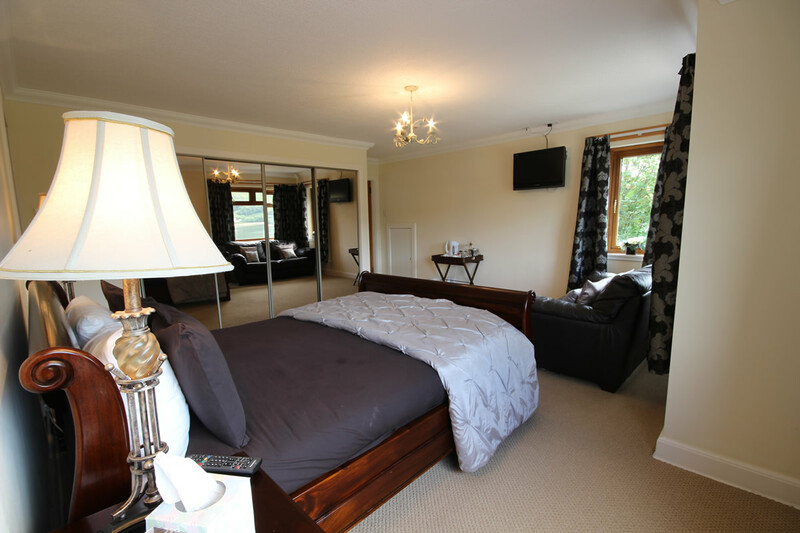 The room has everything that you would expect. 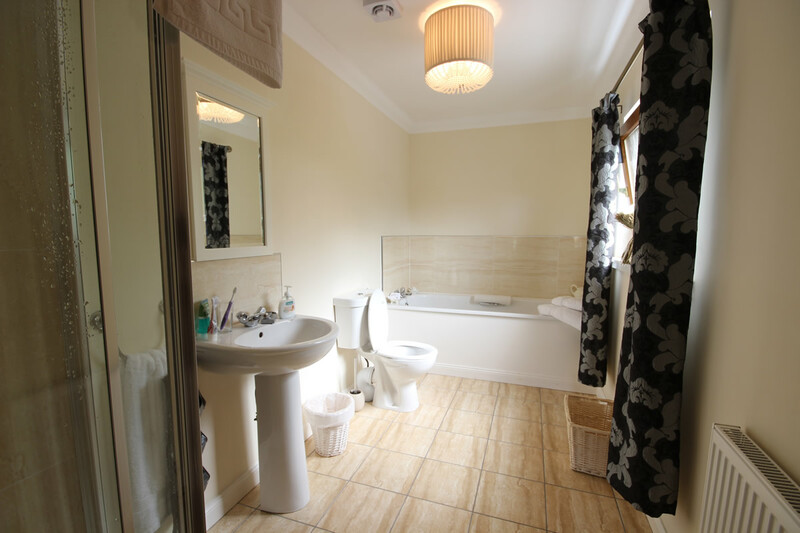 It is tastefully decorated to a good standard and has a light and airy feeling throughout. 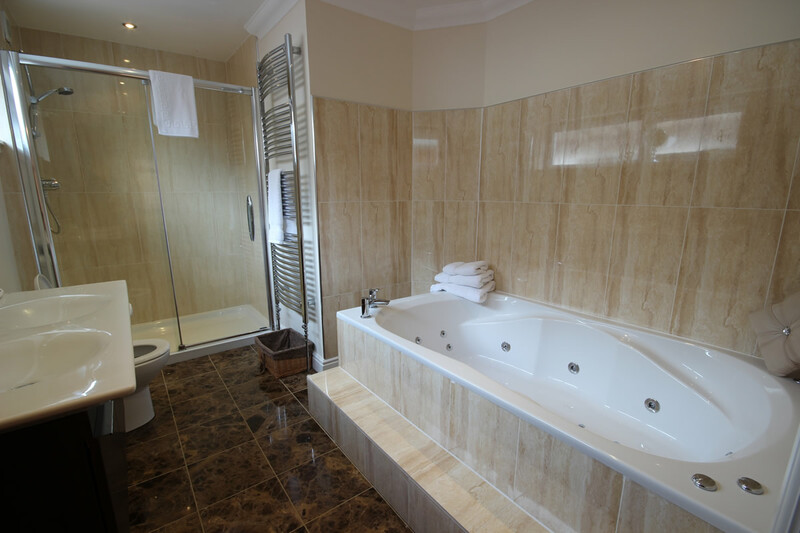 This is another favorite for couples with a relaxing feel and a generous amount of space with en-suite bathroom. 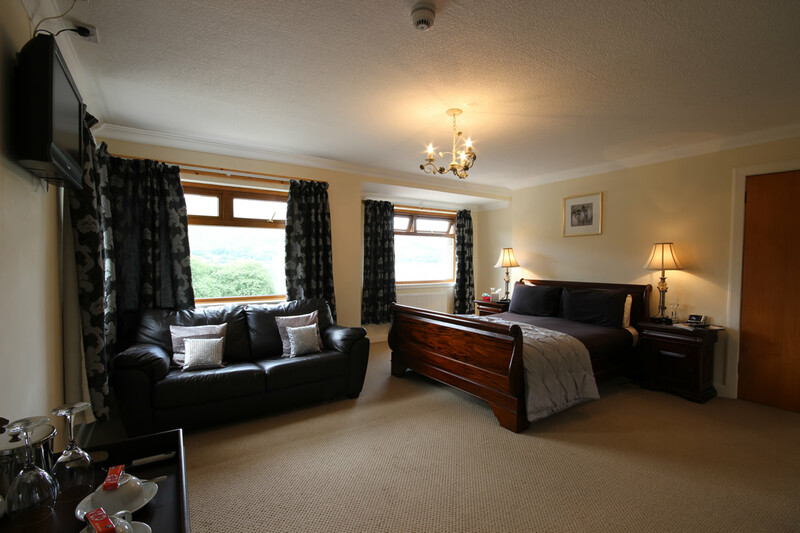 This room also provides a great view of the surrounding beauty. 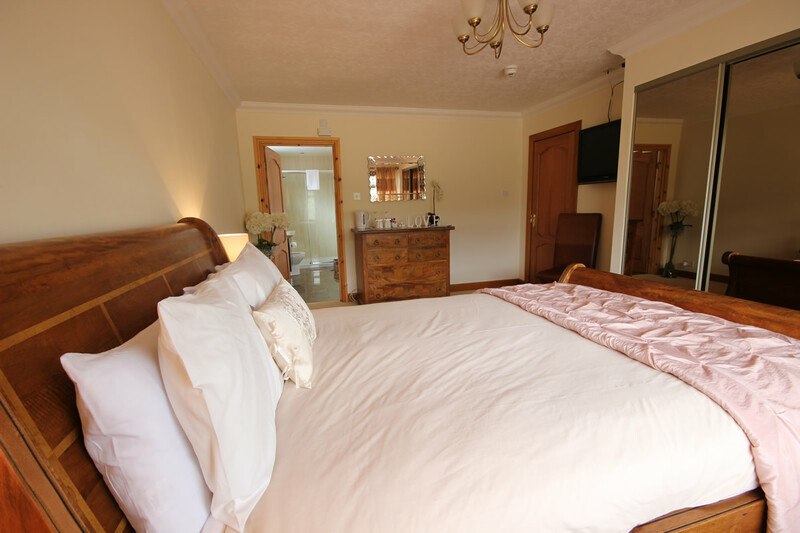 Enjoy luxury in this large double room designed specifically with couples in mind. 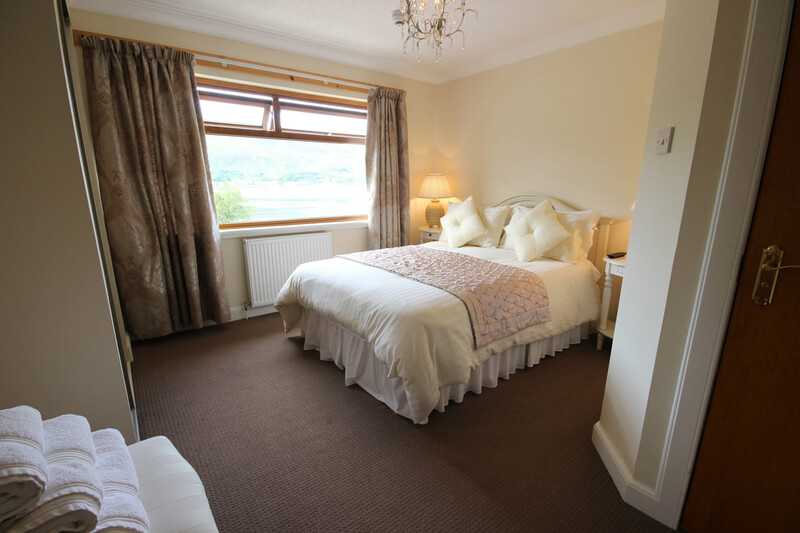 This room provides great views of Loch Linnhe and the surrounding mountains. 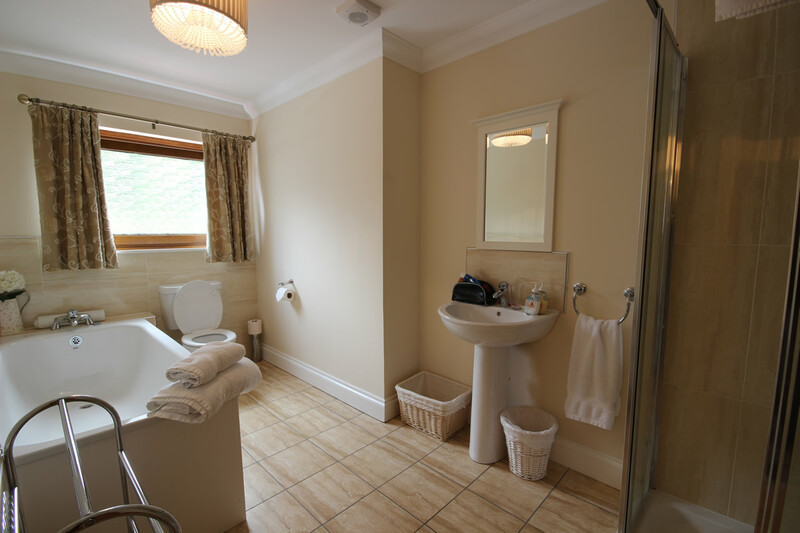 The room also has a large en-suite bathroom with Jacuzzi bath and walk in shower.